Product prices and availability are accurate as of 2019-04-20 14:12:41 UTC and are subject to change. Any price and availability information displayed on http://www.amazon.com/ at the time of purchase will apply to the purchase of this product. 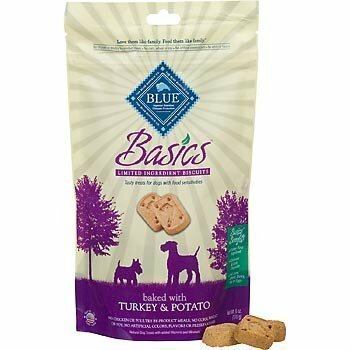 BLUE Basics Limited Ingredients Salmon & Potato Biscuits for Dogs 6oz is made from a simple recipe with a limited number of natural ingredients, BLUE Basics Biscuits are the perfect treat for dogs with food sensitivities. 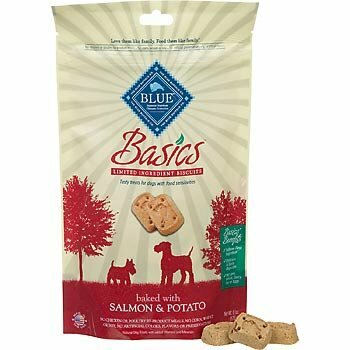 Oven-baked for crunchy goodness, Basics Biscuits start with real Salmon, a high-quality protein not commonly used in dog treats, which makes them ideal for dogs with food sensitivities. 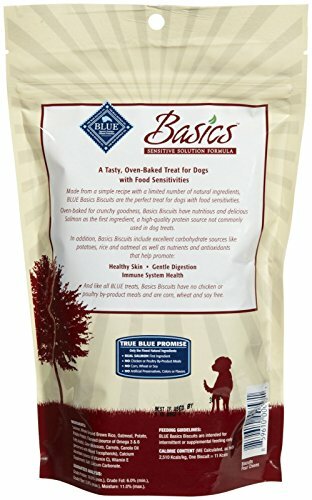 In addition, Basics Biscuits contain some of nature's most healthy and highly digestible ingredients.